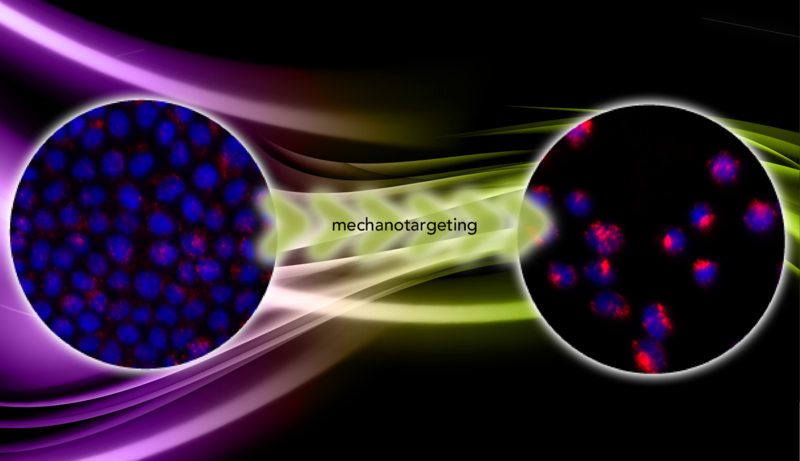 Diseased cells such as metastatic cancer cells have markedly different mechanical properties that can be used to improve targeted drug uptake, according to a team of researchers at Penn State. Many labs around the world are developing nanoparticle-based drug delivery systems to selectively target tumors. They rely on a key-and-lock system in which protein keys on the surface of the nanoparticle click into the locks of a highly expressed protein on the surface of the cancer cell. The cell membrane then wraps around the nanoparticle and ingests it. If enough of the nanoparticles and their drug cargo is ingested, the cancer cell will die. 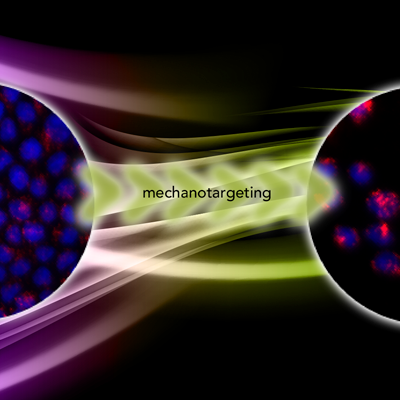 “These two targeting strategies are complementary; you can combine chemotargeting and mechanotargeting to achieve the full potential of nanoparticle-based diagnostic and therapeutic agents,” Zhang says. “The fact is that targeting efficiency requires a delicate balance between driving and resistive forces. For instance, if there are too many keys on the nanoparticle surface, even though these keys only weakly interact with the nonmatching locks on normal cells, these weak off-target interactions may still provide enough adhesion energy for the nanoparticles to penetrate the cell membrane and kill the healthy cells.” On the other hand, if the adhesion energy is not high enough, the nanoparticle won’t get into the cell. In “Mechanotargeting: Mechanics-dependent Cellular Uptake of Nanoparticles,” published online ahead of print in the journal Advanced Materials, Zhang and company report the results of experiments on cancer cells grown on hydrogels of variable stiffness. On soft hydrogels the cells remained cohesive and benign and experienced a nearly constant stress that limited the uptake of the nanoparticles. But on stiff hydrogels the cells became metastatic and adopted a three-dimensional shape offering more surface area for nanoparticles to adhere, and became less stressed. Under this condition, the cells took up five times the number of nanoparticles as the benign cells. First author on the Advanced Materials paper is Qiong Wei, a Ph.D. student in Zhang’s group. Other coauthors are former Ph.D. students Changjin Huang and Yao Zhang, and current Ph.D. students Tiankai Zhao and Peng Zhao, also in Zhang’s group. Peter Butler, professor of biomedical engineering, Penn State, also contributed. Contact Prof. Zhang at suz10@psu.edu.